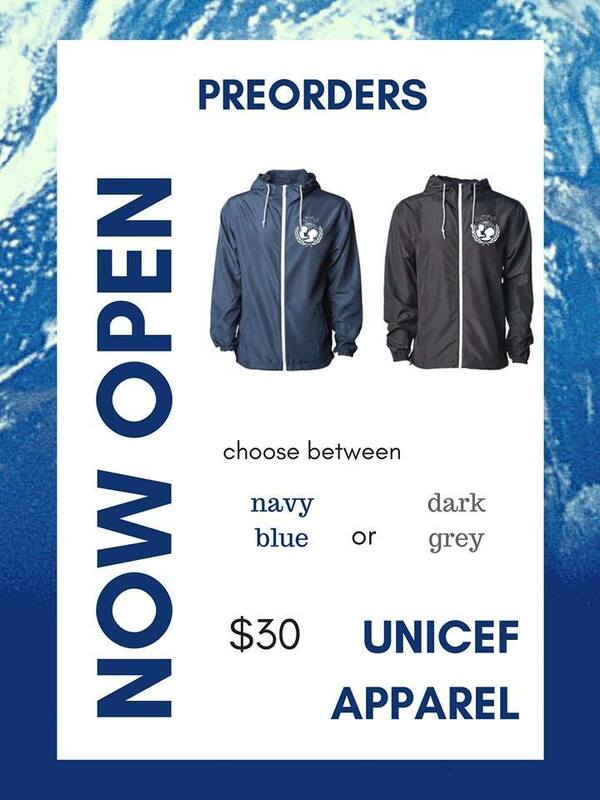 BUY YOUR UNICEF WINDBREAKER NOW! UNICEF Club is excited to announce that we will be selling windbreakers this year! Everyone and anyone is welcome to buy one (even if you're not in UNICEF). These windbreakers are waterproof, have a protective hoodie, and have large front pockets, perfect for the upcoming winter. Also, a portion of the proceeds will be used to benefit the Alzheimer's Walk, so you'll be helping out the community at the same time! All you have to do it fill out this form before 11:59 PM on November 2. **Females are recommended to order a size down since apparel is unisex. If you have any questions or need to make any changes on your order, contact one of the UNICEF officers. Once you have ordered, please send a picture of your receipt to Ann Bui.